Sierra's View: Health Plan, Here We Go! As many of you know, I have struggled with my weight over the past few years. It is a combination of many different factors: My PCOS, my hormones, my career, my mental illness, and my eating habits. I would never consider myself a lazy person, but I know that there are MANY steps needed to change my health. It has been a very discouraging path because of all my factors due to PCOS, anemia, hypoglycemia, hypothyroidism and Depression. 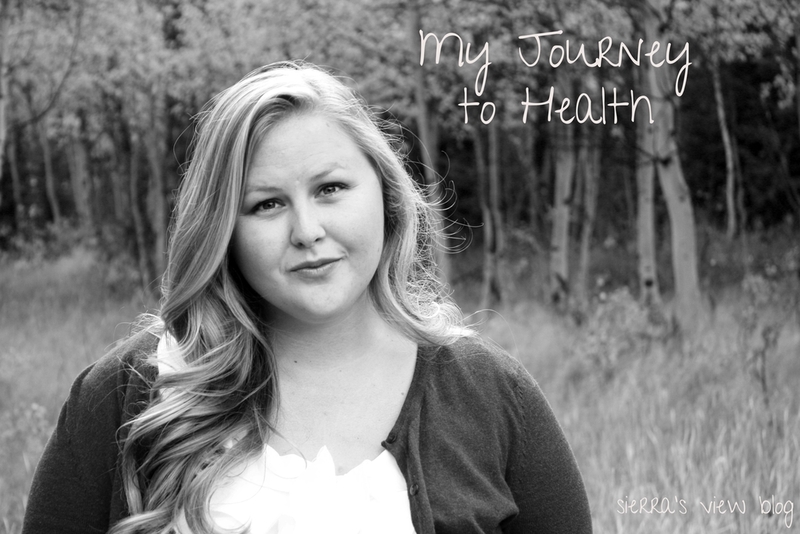 I got to the point, after a long night of bawling to my sister due to frustration and sadness for the way that I felt, I came to the conclusion that I wanted to figure out what was going on with my body!!! So, over the past two weeks, I have been making phone calls, text, doing research, and going to appointments to plan out an entire Health Plan for my body and all the confusing parts of it. The goal of this health plan is to change me, in all facets: emotional, physical, mental, and spiritual, not just to "get skinny" (although that would be nice, as long as I'm healthy! Ha.). I will be documenting my progress on this blog for another place to be held accountable every week, or at least bi-weekly. I will talk about what aspects of this plan have worked fabulously for me and maybe some things that may not be as beneficial. I would love for all of your support, love, encouragement and good thoughts, prayers, and vibes coming my way! It is going to be a very long, very exhausting process, but I am determined to do it. And, as always, if anyone wants to walk, hike, bike, with me, I am ALWAYS looking for people to exercise with! :) Follow the hashtag #GetSisiHealthy to join me on this journey to happiness and health! **Here are the medicine and supplements that I have started taking. I have noticed a SIGNIFICANT difference when I am taking all of my vitamins and supplements. My energy level spikes up and I am motivated to get more done. -PCOS Specialist to manage hormone testing and other results. Liquid Iron (Floradex) to help with my anemia. DoTerra Probiotic (PB Assist) to help with my GI track and digestion. DoTerra Terraenzyme to help process and break down food the way that my body needs to. Magnesium to help with the overall process of hormones and weight loss. DoTerra Vitality Pack-Cell help, omegas, Food Nutritnet Complex, Energy Lifter. Essential Oils: Emotional Therapy Kit (amazing!!!! ), Slim & Sassy, and others. **Taking care of my emotional and mental well-being is a huge factor in this process. If I taking care of that aspect of my life, I am more likely to see results. Sleep: at least 8 hours a night. Be in bed by 10 pm on weekdays. Baths, journal, writing (blog), reading. **I don't mind exercising and I do it already, but I want to focus more on finding exercise that will actually benefit me specifically so that I can see results. 5-6 days a week. Healing Yoga instructor private session will help with emotional and physical well being, twice a week. (30 minute electromagnetic therapy to help with alignment, and another actual power yoga session). Personal trainer for weights/intense Cardio. Will meet with trainer once a week; specialized exercise plan for other days. Walking, hiking, biking, swimming on Fridays and Sundays (days off). For me, this is the BIGGEST factor in order to see changes. I don't binge eat, but I do tend to be an emotional eater. I, also, am going gluten and lactose free. This should help results. Nutritionist/Dietician. Meet with once a week to go over meal planning; have a regimented food outline. No gluten, dairy or processed sugar; 35% protein, 35% carbohydrates, 35% fat. No junk food: candy/sugar/granola bars/chips/cookies in house. Chart calories on Fitbit App. *Read a Self Help Book Recommended by support people in this process. *Spirituality: Temple at least once a month, prayers&scriptures (conference talks) daily. *Socially: Socialize with friends at least once every two weeks (this is not an issue. I may need to do LESS of this!) haha. Reach out and do service to the members in my ward, neighbors, other family members, etc. So proud of you! When we get busy with the every day, taking care of ourselves seems to be one of the first things to slip. Doing the research and committing to a health plan is no small task! I'll be cheering you on in your journey to health and happiness! You go girl! Just remember: one small change at a time! My dear, I am impressed! That is a LOT of changes to take on. But you can do this! I have to make small changes or else I burn out quick. I'm excited for you! Way to go for making a plan. I hope that it goes well for you and if you even need support, we are all here for you. (We just met, but I'm serious.) My husband deals with depression, and I have had it on and off the past year as well as TONS of anxiety. It's very scary to not be in control. Lately, I've had it worse and I know that I need to be doing a lot of the things that you listed. Thanks for being so open and sharing your goals.